Challenges in love life, how the love life gets ended, why disturbances in love life, Tips to make love life better, Solutions of love problems through astrology. Do you want to know why problems arises in love life, do you want to know why suddenly love life breaks, why the person who was ready to do anything for you don't want to see you again, do you want to make good relations then read this article. Every day many love relations gets ended, every day many new relations thrives but due to some unknown reasons many people unable to maintain a good relation life long. Daily many calls I get from different parts of countries and they just want to get back their love. This article I am writing to aware my blog readers about the reality of the love life, It is better to take some better steps before it is too late. If you think that you are facing some problems in love life then do read this article, if you are going to enter in love life then read this article and if you are in search of love life then also do read this article. Love life is not as simple as it seems because 2 unknown person are going to spend some moments with each other. There is a need of great understanding, there is a need of adjustment, there is a need of patience, there is a need of cooperation, there is a need of support from each other in love life. So love life is full of challenges. It is not a fun to maintain the true love. If we not take care of some important points then it is possible that our search will not come to end to get a real and true love life. This is very important thing which every one must understand that without trust it is not possible to maintain a long lasting relation. Don't doubt on partner, don't create any misunderstanding, don't hide any important thing. The most and biggest problem is that 2 person cannot maintain the freshness of love whole the life and the reasons of this which comes in discussions are pressure of work, increase in responsibilities, increase in age, physical and mental weakness etc. But here I just want to clear that if you really want to live a happy life then be away from excuses and try to maintain your natural love and it is not as difficult as we understand. Everything is in our mind so change the way of thinking and you will be able to live a good and energetic love life. This is one of the major problems and it comes when lovers want to marry as per parents consent. 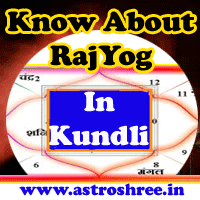 If the kundli matched then no problem but if not then many issues comes in life. This is again a very crucial problems. Sometimes it become difficult for a partner to behave as per the partner expectations due to some compulsion but it is not understood by another one and this become a major issues so be careful and be supportive. A very common problem of interfere of any third person is also experienced. Suppose if any other boy or girl want to make relation with your partner then this again become a big issues because the person creates obstacles of different kind to break the relation. So be alert and share every thing with each other. 1. Spend some time time to time with your beloved. 2. Don't bound your partner in any rules and regulations. 3. Show your trust towards your partner. 4. Don't try to dominate your partner. 5. Be a good friend, be a good motivator and be a good partner. 6. Take step to remove any misunderstanding arises as soon as possible. 7. Respect the feelings of partner. Hope the above points will help you a lot to maintain your love life. For any kind of astrology helps do contact ASTROSHREE ASTROLOGER and get the best guidance to make your love life strong, fair and hurdle free.